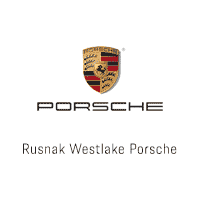 Porsche sports cars are designed and manufactured by the best and should be inspected and maintained to a similar standard. The Porsche major service on the 986 generation Boxster is detailed below. Yearly maintenance intended for vehicles driven less than 9,000 miles per year. No oil change is required for this service. However, an oil and filter change is required every two years for vehicles not receiving a scheduled major service. Yearly maintenance for vehicles driven more than 9,000 miles per year, wait and perform the 15,000 mile maintenance at the scheduled mileage interval.